Has celeb kids’ Instagram accounts taken things too far? It might be surprising how a lot of baby stars who never saw or used their own Instagram accounts have more followers than you do. Well, that is quite obvious when you are born in a star family or to a parent who is famous for one thing or the other. Be it bloggers, actors, singers, athletes or political figures, apart from tech idols, almost every industry has a star whose kid is also a star on Instagram with millions of followers. To put it straight, the new trend of creating social media accounts has become common from a couple of years. It is safe to say that a lot of children of stars are born famous. With social media especially Instagram, people record every moment for a memory book. The idea of seclusion or privacy is a long-lost story. You no longer need to ask people about the happenings in their life. Instead, you can silently keep an eye on them, if they choose to publicize it. The thing applies better when it comes to stars and their personal lives. From their day out and about to what they eat, what events they are making to, what projects they decide to work on and how is their day progressing. From carrying their children in the womb to carrying them in their arms, you can have an eye on everything, quite frankly. Social media platforms especially the ones like Instagram and Snapchat have become a primary source of partially non-subjective communication! You can know about your favorite stars, their kids, their close friends, and a lot more people. The celebrities don’t get the limelight alone; their near and dear ones too share the spotlight whether they like it or not. Thanks to social media platforms that have made even the close ones of the celebrities popular. A few stars on purpose tag their close friends and siblings so that a lot of people can follow them on Instagram too. But there is always a limit that defines between the right and the wrong. Everything is okay until some legal issues make their way in. The passing on of fame hasn’t stopped here but quite silently made it to celebrity’s children. Khloe Kardashian’s expected baby True Thompson was on Instagram even before her birth. This was announced again and again on her Instagram posts so that the baby could gain maximum followers maybe as a birthday gift? Was that a good move? We will decide that later! For now, just a few months old baby, at the time of writing has 43.1k followers, better than a lot of us. Not only this, another such star, DJ Khaled’s son Asahd has been on Instagram and doing better than a lot of us. The child star not only has his account but a lot of fan accounts that too have thousands of followers. This baby star has a good 2 million followers and that official blue tick already! Wasted your entire life? Well, a mutual feeling! The parents have decided to trademark their child’s name on everything such as cars, gifts, perfumes, key chains, and whatnot. The proud parents of the Instagram star kid filed a trademark for their child’s name in April 2018. They have also planned to get the child’s name on some good baby stuff such as dresses, stallers, pacifiers, bibs and a lot of stuff like teething rings. Coming up next is this dream! Your dream could be 100k followers on Instagram. 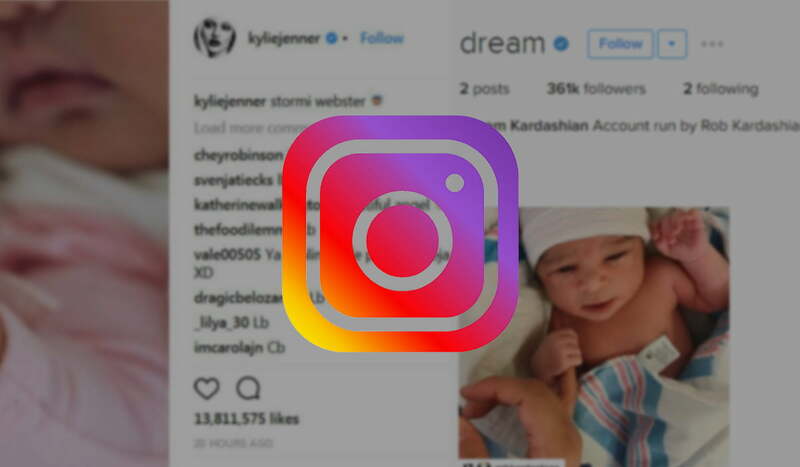 Well, daughter of Rob Kardashian and Blac Chyna, Dream Kardashian already has 100k followers on her Instagram account where she never posted anything, but obviously, the star parents did! This baby girl has probably got these thousands of followers for the fact that her parents are a celebrity! Coming towards the debate that whether having celebrity kids on Instagram is good or not, especially at an age when they don’t have their consent on the issue. Fame may not be the choice of everyone, but it is a dream of many. The fact that all these celebrities share their spotlight with their kids doesn’t sound as bad as it is. The kids grow up in a world where a lot of people know them from the time when even they couldn’t identify themselves as ‘someone’ that famous. Being loved by a lot of people around is undoubtedly a great feeling. Also, she mentions that keeping up with these accounts depends on her boys when they grow up. If they think that their account should be turned private and they no longer want to share their personal life, then it’s going to be their choice above and beyond everything! Between all the fame and charisma we just forgot that how important is privacy to every individual. Think of waking up to all the fame and charm you never wanted. The story gets worse when this leads you to a state of depression. We cannot deny the fact that getting public has brought up so many issues of depression and mental health worldwide. You chose publicity for a newborn who doesn’t even have the slightest idea of how his life has already been changed by his parents. Public or no public is not in the baby’s hand. All those embarrassing photographs from his childhood in almost no clothes or sitting on a toilet seat might affect him in future as he grows. Celebrities forget that they have disclosed or open up their children to the world without the slightest consent from their children, which is obviously very unethical! Along with this, in many cases the realization of being “objectified” by your parents is deadly. You can’t accept the fact that how your parents made you an accessory for earning or used your name as a “trademark” when you were not even able to second the thoughts they had. They planned a life of which they had no right. A lot of things might not seem as serious as they actually are and this debate over children having Instagram accounts that they don’t even have a clue about is one of them. Let’s see what Instagram has to say on this. It is clearly stated in Instagram policies that children above 13 years of age are allowed to have their accounts on Instagram. Anyone who is below the age of 13 does not qualify to have an Instagram account of his/her own. Things have been placed quite clearly by Instagram in this policy and people (celebrities) need to realize that they are violating these terms. 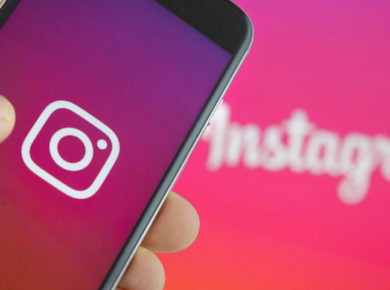 Instagram has been concerned about children using the platform, lately, and has very responsibly taken some measures to educate parents about that. However, people need to realize that Instagram is NOT for kids under 13! She is doing everything that she can to protect children from the beyond limits social exposure which is neither good for them mentally or socially. What do you think about celebrity kid’s account on Instagram?